You will have a clinical specialist nurse(CNS)/key worker. 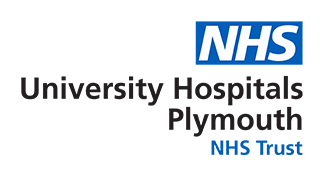 We work closely with the team of doctors, nurses and other health care professionals within the hospitals and community services, across the South West Peninsula. We are a team of Qualified Registered General Nurses.Louise Davies is our lead neuro-oncology CNS, and predominantly works with patients in the North Devon and Exeter area. Tony Shute and Helen Cooper neuro-oncology CNS, predominantly work with patients in the Plymouth area. Glad Baldry and Jennifer Berei neuro-oncology CNS, predominantly work with patients in the Torbay and Truro area. We are here to support you and those close to you throughout your diagnosis, tests and treatments and beyond. Often when leaving hospital you may think of things you should have asked or wish to have things explained further. We are available to help at this time. With your permission, we are also available to speak to your spouse, partner or family. They may have their own questions about your care. Our service covers Monday to Friday, (excluding bank holidays) 0900-1530. There is an answer machine for you to leave a message if we are out of the office. The answer machine is checked throughout the day and we aim to respond to your call within 24 hours. If you have an urgent medical concern, then please contact your GP or dial 999 for an ambulance.